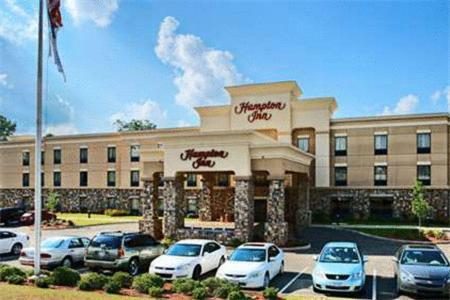 This hotel is located 1.8 miles from downtown Enterprise, Alabama and one mile from Dixie Boys Baseball Park. It features an outdoor pool and spacious rooms with free Wi-Fi. Rooms at the Hampton Inn Enterprise are furnished with a cable TV and large work desk. Each air-conditioned room is brightly decorated and includes a coffee maker and hairdryer. A daily buffet breakfast is served at the Enterprise Hampton Inn. Guests are welcome to work in the gym or use the business center. Fort Rucker and the Army Aviation Museum are both 9.5 miles from the Hampton Inn. 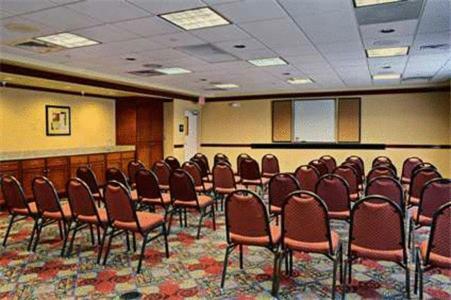 the hotel Hampton Inn Enterprise so we can give you detailed rates for the rooms in the desired period.